Fourth-year arts student Marium Hamid wants to make the AMS more accessible, inclusive and communicative to students. This platform is motivated by her involvement on campus, especially her current term as the AMS student services manager. To achieve this goal, Hamid focuses on three areas: making services more accessible, improving the student experience, and engaging students in communications and advocacy. First, she aims to improve awareness around the AMS/GSS Health and Dental Plan as well as wellness services like Vice and EmpowerMe. “I want to make sure that students know what their money is worth and how exactly they can access all these services and what they gain when accessing them,” she said. The second pillar includes doing an accessibility audit on all campus buildings and giving student organizations training from wellness services like SASC and Vice. On the recreational side, Hamid said at the Great Debate that she wants to increase the capacity of Block Party by 2,000 people by opening up the Nest and making it an all-day event rather just a set number of hours in the evening. After some disastrous Block Party financing a couple years ago, the society managed to balance their budget last year through cost-cutting measures, and it remains to be seen how Hamid would manage the budget of her proposed changes. For the last pillar, Hamid intends to revamp the AMS website and regularly inform students about the society’s advocacy and fees. Beside students, Hamid stressed the importance of better communication with UBC Senate and Board of Governors in order to improve the AMS’s effort in advocating to these governance bodies and holding them accountable. She views this objective to be one of the biggest challenges facing the presidential role, since UBC has seen many leadership changes in the past year. “It’s very crucial for the president to lead the society in making meaningful relationships with [leadership], but also challenging them on things that we know students want from them,” she said. 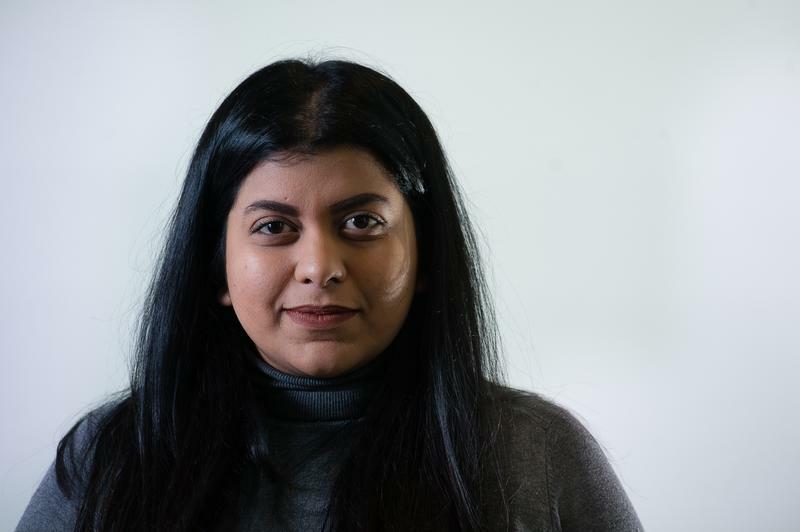 When pressed further on she would ensure meaningful consultation between the AMS and the university given botched consultations in the past, Hamid said that being a student senator — a role that she is rerunning for — has given her insight into how to leverage different policies and the governance structure to better advocate for students.